Darren Wardle, 'Sleepwalker', 2016. Oil and acrylic on linen, 153 x 213 cm. 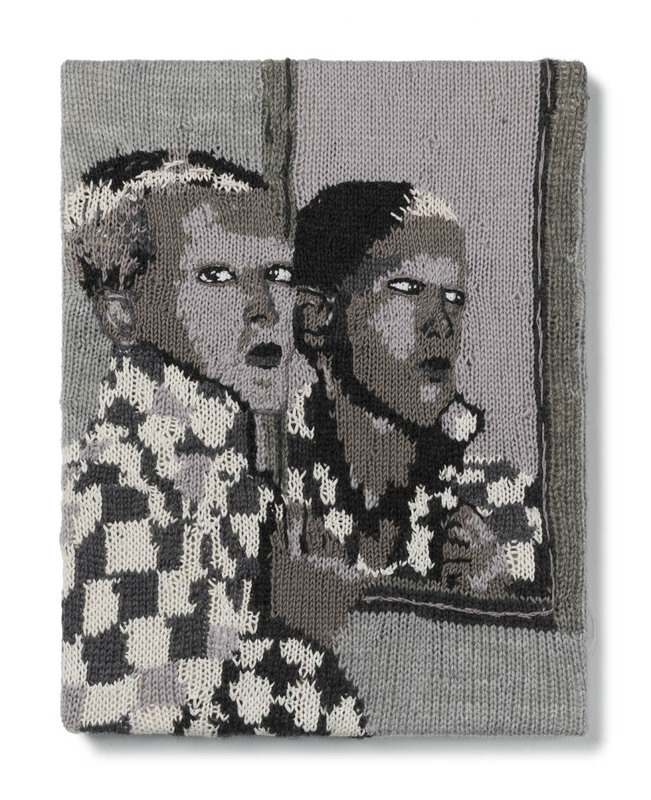 Kate Just, 'Feminist Fan #15 (Claude Cahun, Self Portrait, 1927), 2015, hand knitted wool and acrylic yarn, 46 x 36 cm. Image courtesy of the artist. 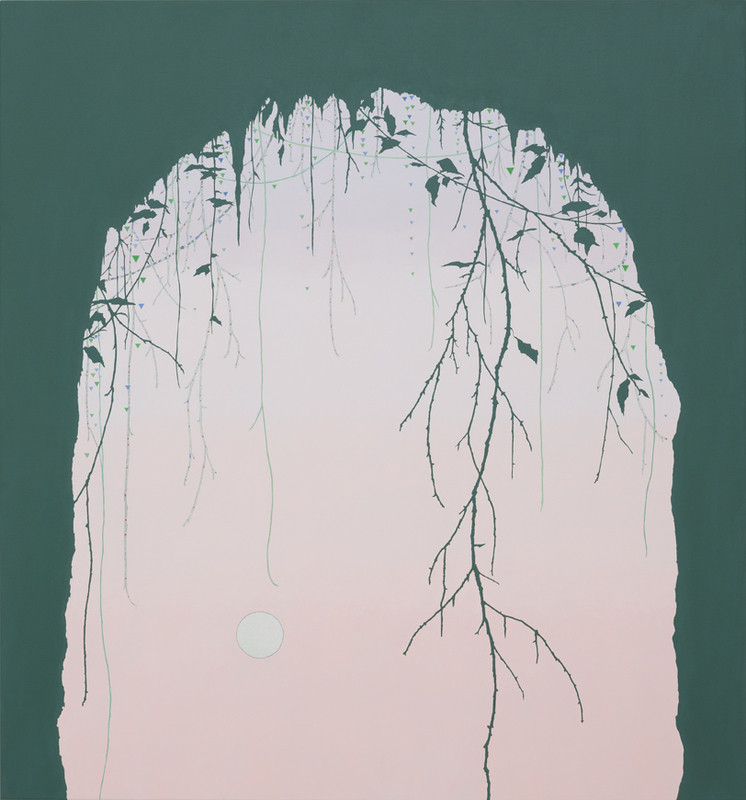 Viv Miller, 'Cave and Moon', 2015, oil, enamel and pencil on canvas, 140 x 130 cm. 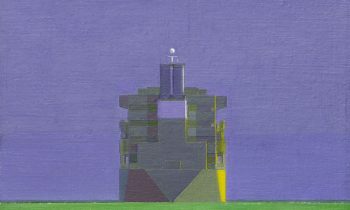 Image courtesy of the artist and Gallery 9, Sydney. 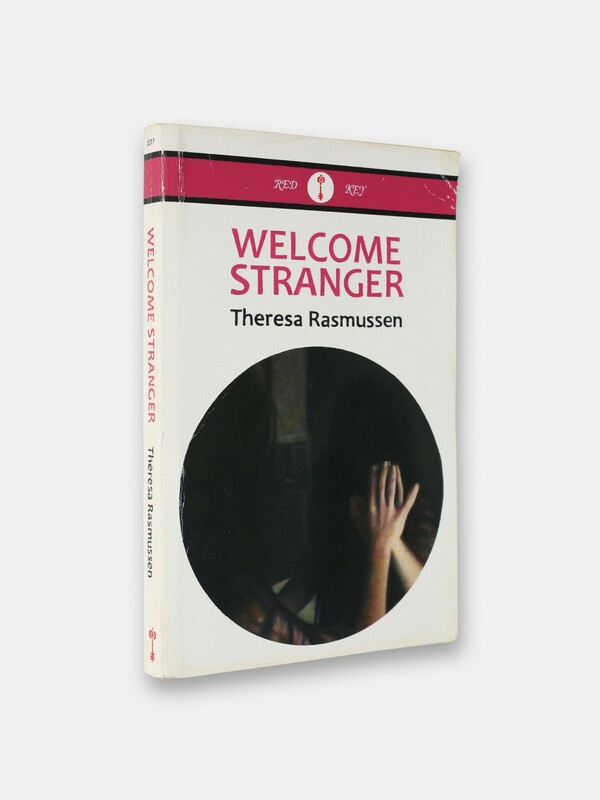 Chris Bond, 'Welcome Stranger', 2016, oil on canvas, paper, card, 17 x 11 x 1cm. Image courtesy of the artist. 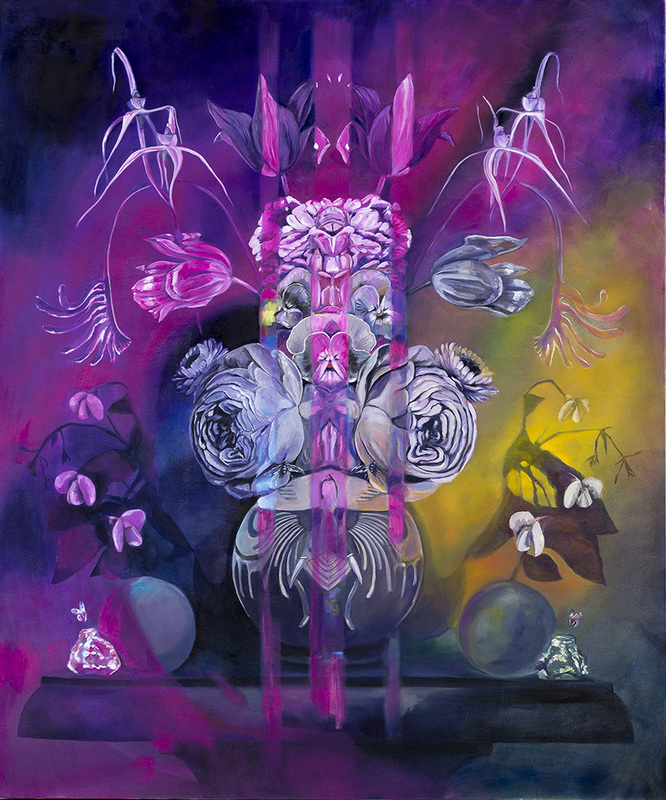 Monika Behrens, 'Echo II', oil on canvas, 122 x 102 cm. Image courtesy of the artist and Martin Browne Contemporary, Sydney. 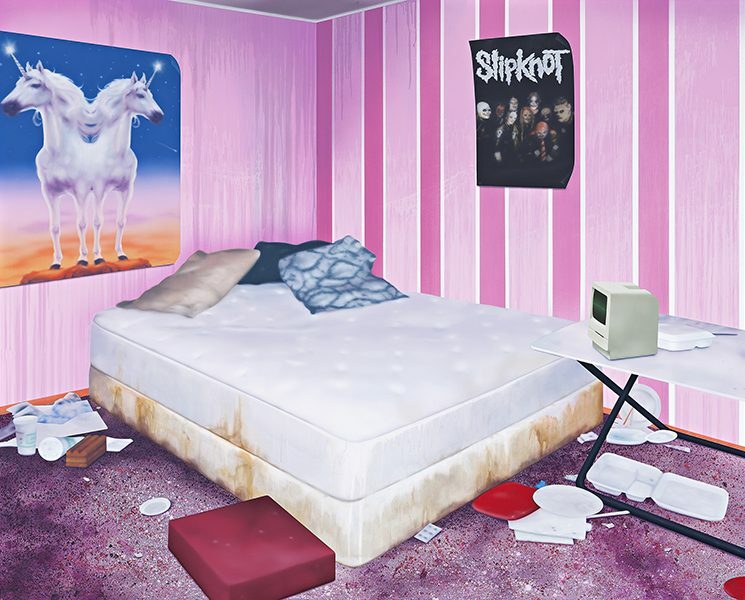 How do artists find new content in digital media? How has technology altered the nature of analogue art practices? 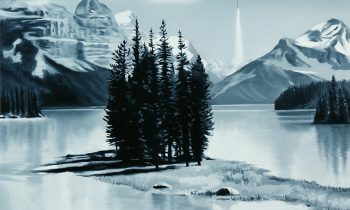 Analogue art in a digital world presents a survey of contemporary artists who use the analogue practices of painting and drawing to create artworks that engage with or are influenced by digital visual culture.